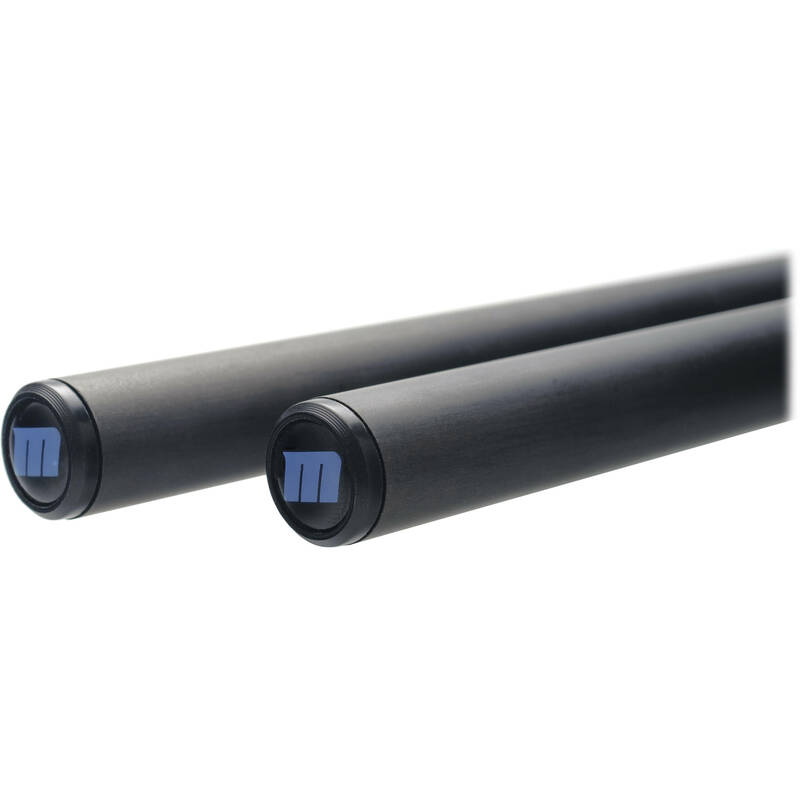 The 8-011-0004 15mm Carbon Fiber Rods (9", Pair) are designed specifically for Redrock Micro's wide variety of support systems. The rods are 15mm in size, making them ideal for attaching a mattebox, follow focus, and much more. The carbon fiber nets a total weight reduction of 66% when compared to stainless steel, making the unit incredibly light. Carbon fiber is not only extremely light, but also has a rigidity that exceeds titanium, making it extremely sturdy. Box Dimensions (LxWxH) 13.1 x 1.8 x 1.8"
8-011-0004 15mm Carbon Fiber Rod (9", Pair) is rated 4.3 out of 5 by 3. Rated 4 out of 5 by Tito Montoya from 9 inch Carbon Fiber Rods Nice High Quality Rods for a camera rig. Only complaint is that the end caps come out easy. I glued them in place with some epoxy and now they are locked down solid.. Still, I would expect them to be factory glued given the price. Much lighter then steel or aluminum. No flex at all. Rated 5 out of 5 by Ingenuity Films from Perfect ultra light weight and strong. We use nothing but redrock carbon rods (from 2 to 18) now for our A-cam and B-cam rigs. They're fantastic.